This is a simple piece that was made of Torrey Pine, a very special wood that is only grown in San Diego County and an island off the coast. 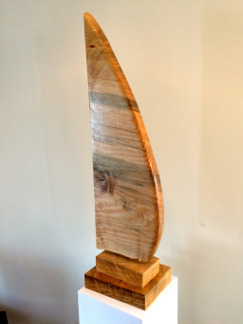 The wood is not produced for construction, and this piece was from a fallen tree that was milled locally. This wood has unique colors running through the grain. The piece is finished with an oil modified polyurethane resin.